LUSH Ugai MouthWash are mouthwash tablets inspired by the Japanese custom of gargling to maintain health and vitality, these little tabs are packed with tantalising herbal taste to deeply cleanse and comfort your mouth. Antibacterial tea tree and sea salt offer freshness, while green tea gives a quenching, verdant flavour. When Lush released these mouthwash tabs I wasn't quite sure what to think. After trying and adoring the mint one, I decided I had to pick up the other two flavours. This one is a herbal flavour, featuring green tea, sea salt and tea tree oil. It leaves my mouth feeling clean, but doesn't leave me with that 'minty freshness' we're all so used to. This was a bit odd at first, but it's actually grown on me. 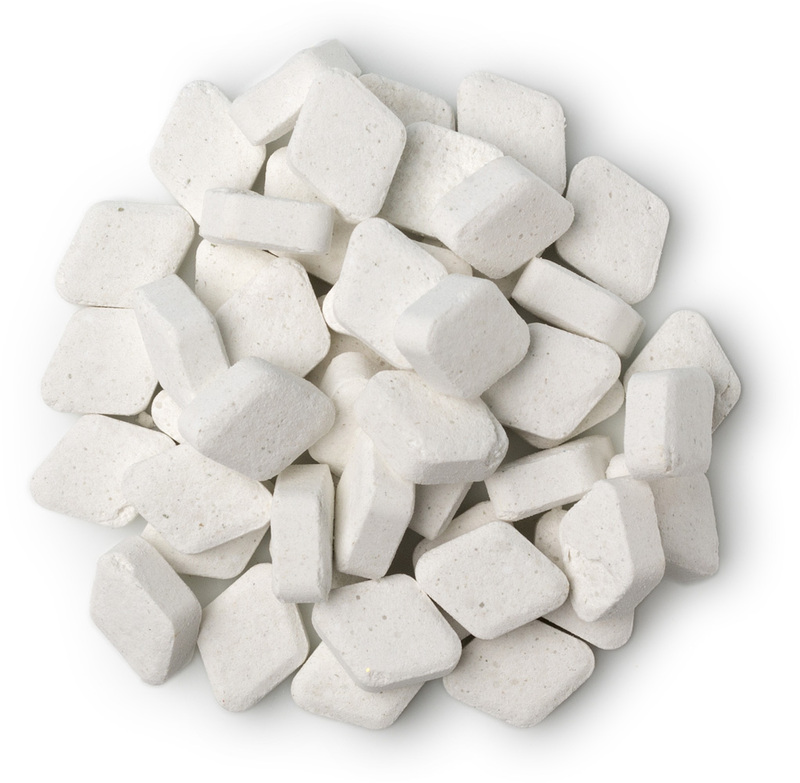 These mouth wash tabs are easy to use, you just fill your mouth with water and pop one in to dissolve. The pack lasts quite a while with daily use, making this less expensive than it seems.